Putnam Investments is one of the financial services companies that still has headquarters in Boston. The local financial services industry may be older than Boston’s brownstones, less hip than tech start-ups, and bruised by the recent financial crisis, but it still serves as a crucial engine in the Massachusetts economy, a new report scheduled to be released Friday emphasizes. Banks, insurance companies, money managers, and brokerage firms account for $36 billion, or 9 percent, of the state’s total economic output, according to the study by Mass Insight, a Boston research firm and PricewaterhouseCoopers, a global consulting firm. Although the sector has cut about 3 percent of its jobs in Massachusetts since 2009, it still employs nearly 166,000 workers — more than the computer technology and life sciences sectors, the other for-profit powerhouses in the state, when it comes to employment. Banks, venture capitalists, and investment firms play crucial roles in the state’s vaunted innovation economy, Guenther said, providing capital to help tech, biotech, and other cutting-edge companies to grow. The financial services industry is also among the state’s highest paying, providing the incomes and spending power that creates more economic activity. The average salary for a financial services worker in Massachusetts was about $114,000 last year, more than twice the average wage of about $55,600 for all industries, according to the report. The study was done for the Boston Financial Services Leadership Council, an advocacy group of local asset managers, investment firms, and banks. The financial services sector has long been a crucial part of the state economy, providing the capital for the trading ships of the 18th century, the mills and factories of the 19th century, and the technology companies of the 20th. Mutual funds were invented here. So was venture capital. The financial crisis of 2008, however, hit the local financial service industry hard. The sector has shed about 10 percent of its jobs from the pre-crisis peak, according to the US Labor Department. Bank of America, the largest retail bank in Massachusetts by deposits, has shuttered 53 branches in the state since 2008. Despite the loss of banking headquarters to mergers over the past decade, many financial services companies still make Massachusetts their home office, according to the report. One of them is Boston Private Financial Holdings, Inc., the parent company of Boston Private Bank & Trust Co., and four wealth advisory and investment management firms in New York City, San Francisco, and Los Angeles. Boston Private employs more than 800 workers nationwide. Clay Deutsch, the chief executive officer of Boston Private, said the city and state should do more to attract and keep company headquarters here, by promoting the well-educated workforce and pursuing business-friendly policies. Deutsch said he hoped the report would remind political leaders that the financial services industry is key to the state’s economic well-being. Through much of the recent economic meltdown, Massachusetts leaders were at the forefront of criticizing financial institutions, Deutsch said. US Senator Elizabeth Warren, for example, has called for more stringent regulations and warned that five years after the economic crisis too many banks are still too big. 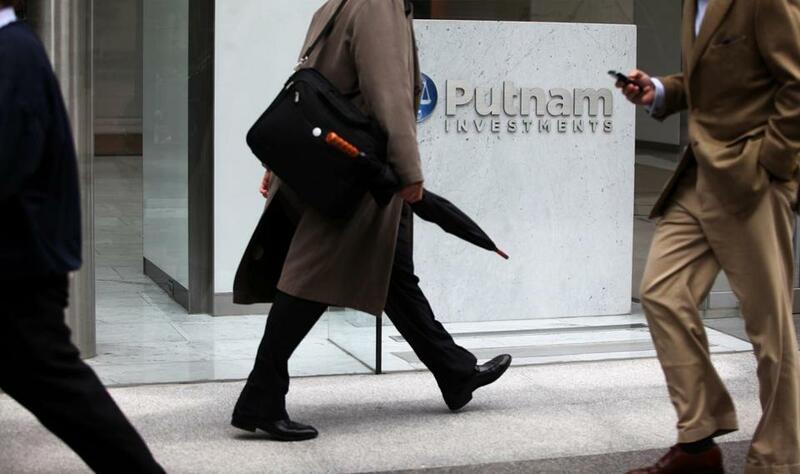 Robert Reynolds, the chief executive of Putnam Investments, a Boston mutual fund company, said the issue of size is often misunderstood by the public and political leaders. Big is not necessarily bad for companies, customers, and the economy. It allows Massachusetts companies to compete in the global marketplace. China is among the most promising global markets for the Massachusetts financial services industry, according to the report. Last year, China announced it would loosen its rules and allow Chinese insurance firms to invest more overseas. Massachusetts companies, Guenther said, could become the firms managing that money.